In this paper, we are going to explore descriptive essays endeavor to establish the deep involvement and the intense experience for the essay readers. 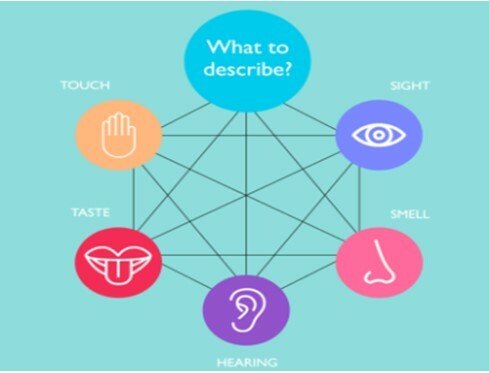 One of the main aspect to writing the descriptive essay example is to generate the picture of the theme in the mind of your audience for attaining their engagement related to all five senses: sight, touch, taste, sound, and smell. If an individual does this, their essay becomes effective and successful and if not then it needs more efforts and working for making it a great essay that grasp the attention of readers. An excellent descriptive essay attains success not only through the statistics and facts but also through utilizing the detailed description and observation. Following are the main steps that need to be followed for writing an effective descriptive essay. The descriptive essay mainly focuses on the single person, location, item or an event. 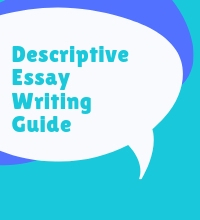 When the person is writing a descriptive essay, it’s his/her duty to convey the idea related to the topic effectively through the good description of the topic. The manner of structuring the things are much important in this for getting the attention of the readers. The individual need to present their readers in spite of telling them what their topic is trying to explain through illustrating the pictures in their mental eyes much carefully. The structure of the essay must be in the manner that it support in making sense of topic efficiently. For example, if an individual wants to write about the essay on his grandfather and decided to write related to his grandfather’s interaction with the people and his physical appearance. In this, your purpose is to provide a description of his kindness and strength. In this, you write one paragraph describing his hand’s roughness that occurs because of his hardworking throughout the life. However, you must also explain how he holds your little hands softly with his hands when taking you on a walk or talking with you. In writing a descriptive essay, the second step is creating the thesis statement. The thesis statement is the single idea which will be noticeable throughout the essay. This is considered as the introductory paragraph or statement that establish the topic framework. Thesis statement not merely set outs the essay purpose but also regulates the manner that information is sent in writing of this essay. For example: if the student wants to describe the relationship between rewards and employees motivation then the thesis statement will be Is the rewards affected the motivation level of the employees. For attaining the right sense of the topic read the literature and stated the variables that you observed linked with your topic. Writers need to provide the full sensory points of the literature that help to support the effectiveness and generalizability of the thesis. This description helps you and also the readers to understand the topic in a better way. To create the outline, the detail discussion on listing each paragraph is important. The planning of the essay should take place before writing an outline about the topic. What you want to write, the reason for your writing and the main qualities and points on which you have to focus. The thesis statement describes all the topic of your essay. For example; in colleges students usually, write an essay based on different paragraphs. The one is the introductory paragraphs with the thesis statement that gives the whole outline of the essay. The conclusion makes the summary of the whole essay. It is a very important step we can’t skip while writing an essay and it requires to reaffirm the thesis. That paragraph should be related to the topic, and the result should be from the topic. The conclusion should have to be written clearly as it is the most readable paragraph by the reader. It will also remain of the readers. It also helps to find the result of the essay and for the further discussion on the same topic that is chosen by the writer. Sometimes the readers are having a short time. Only like to read the introduction and conclusion paragraphs. So both the introductory paragraph and conclusion paragraph correlated with each other. It is the best tool while writing them. For example; if our topic of the descriptive essay is on the rewards of the employees, then the conclusion paragraphs should be based on the significant aspects of giving rewards to the employees because every employee needs a reward from the company where he is working. After finishing the essay, one should have to check his work for a short time. The reading should have to be base on the thinking of the reader for whom you are writing. Check on all the details like; the description and details in your essay should give a vivid and complete perception to the reader. Check on the language and words whether they are proper and conveying the perspective and emotions about the particular topic. If you found any unnecessary details while overviewing the essay, remove it or make it short where it is necessary. Check each paragraph you have written, whether they are focusing on the one aspect from your description or not. Go through the every starting line of each paragraph for checking their order that should be effective. In the end, carefully reading and checking the punctuation, spelling and grammar errors is required for a descriptive essay. If you find any incomplete description on any point then completes it. Or if it is not making any sense, then it would be better to remove it or rewrite it. The reading aloud and proofreading process is to ensure that the end outcome is on the expectations. The writer should not skip the checking and read again and again from the area for writing the perfect essay.